In the last of these days God has spoken to us in the Person - not the "Presence" of His Son. He has spoken "once, for all time." Jesus in His Word has emphatically stated that He is completely finished speaking any more words for publication. How then can a "Presence" of "Jesus" contradict Jesus? These inner voices of the "Presence" are assumed by Sarah Young to be Jesus. Therefore, she encourages her readers to assume the same. She uses journaling or, more accurately, automatic writing to keep track of these voices. She encourages listening to these voices spoken by the "Presence" as a means of direct communication between the readers and the "Presence" themselves. Normally we have been told throughout our Christian walks that our Lord Jesus speaks through His Bible to us. Now we are being encouraged to listen to the mystical voice of a "Presence" whose words contradict the Bible. This will, ultimately, lead to great confusion for the readers… or worse. The idea of following the voices of a "Presence" reminds me of the story of the Pied Piper which, as I just discovered, is based on an apparently true event. 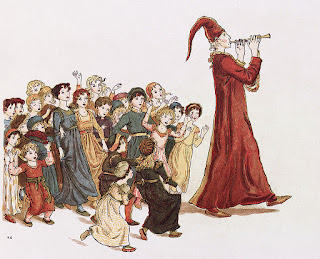 [See: https://theportalist.com/the-chilling-true-story-behind-the-pied-piper-of-hamelin] A Pied Piper is defined as someone who induces others to follow him/her by means of false promises. [Source: http://www.dictionary.com/browse/pied-piper] I often have wondered where the children went after they were lured to follow this very colorful person who was so enticing to their eyes and ears. The children listened to an enchanting sound and it led them… to where? Isaiah 53:6 comes to mind: "All we like sheep have gone astray." WHY HAVE REVISIONS HAD TO BE MADE TO JESUS CALLING IF THIS IS TRULY JESUS SPEAKING? One of the most important characteristics of the Bible is that the Words are never to be added to or subtracted from (Deuteronomy 4:2; Revelation 22:18-19). This is because Jesus Himself is unchangeable. 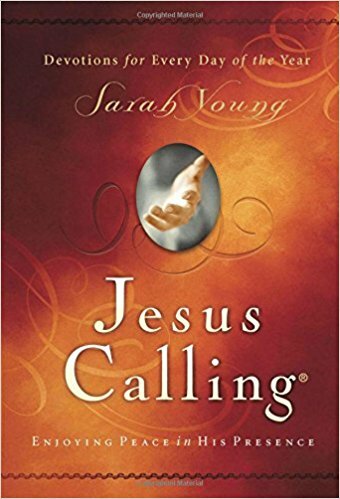 Considering that, the question has to be asked: why have revisions been made to Jesus Calling if this is truly "Jesus" speaking in Sarah Young's book? Yet this is precisely what has happened. The August 23 devotion in the 2004 version of her book speaks of Abraham and Isaac and accuses Abraham of "son worship." However, while the August 23 devotion in the 2011 edition begins the same as the 2004 edition, it changes mid-stream and talks - not about Abraham and Isaac - but about Jacob and Joseph. Has the true Jesus ever been known to edit His Own Words? Has He ever re-phrased one of the books of the Bible? The real Jesus has not, and according to His Own Word, could not revise His Words. The only assumption I think we can make is that the "Jesus" of Jesus Calling is not the real Jesus. 2 For I am jealous for you with godly jealousy. For I have betrothed you to one husband, that I may present you as a chaste virgin to Christ. 3 But I fear, lest somehow, as the serpent deceived Eve by his craftiness, so your minds may be corrupted from the simplicity that is in Christ. 4 For if he who comes preaches another Jesus whom we have not preached, or if you receive a different spirit which you have not received, or a different gospel which you have not accepted-you may well put up with it! 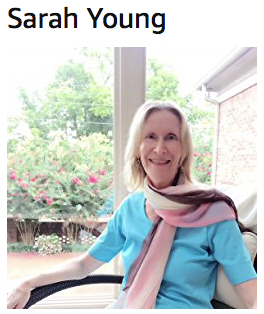 Sarah Young and Thomas Nelson have been systematically deleting controversial material from Jesus Calling. Adding, subtracting, cutting, pasting and completely eliminating problematic words, sentences and even whole paragraphs, Young and her editors do not hesitate to put words in the mouth of their "Jesus," even as they take others away. But… these tactics are doing more to expose their problems than cover them up…. The Encyclopedia of New Age Beliefs published by Harvest House Christian publishers specifically describes God Calling as a channeled New Age book. In their lengthy chapter on channeling and spiritual dictation, authors/apologist [Christian] John Weldon and John Ankerberg explain that channeling is a form of New Age "mediumship" and according to the Bible it "is a practice forbidden (Deuteronomy 18:9-12)." 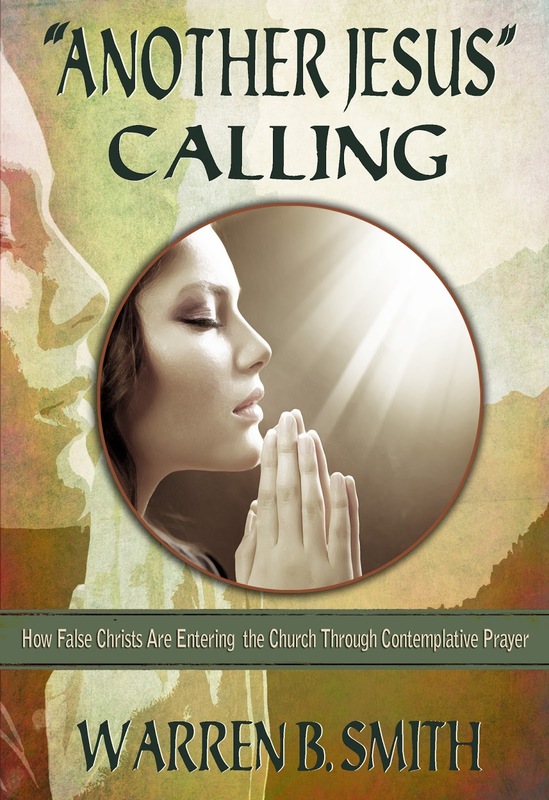 Under the subheading titled "Impersonations of Christianity," the authors describe God Calling as a New Age book "replete with denials of biblical teaching" as it "subtly encourages psychic development and spiritistic inspiration under the guise of Christ's personal guidance... and often misinterprets Scripture." Yet Sarah Young wrote that it was God Calling that inspired her to receive her own messages from "Jesus." In her original introduction to Jesus Calling, Young praised God Calling as "a treasure to me"…. 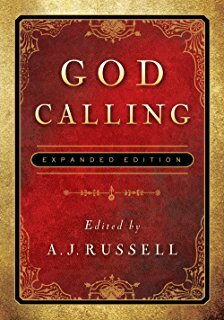 In recent editions of Jesus Calling - including the 10th anniversary edition--the preceding paragraph regarding God Calling - has been removed from the author's longstanding introduction. No explanation. No apology. Nothing. Suddenly and completely gone is any mention of God Calling - how it had inspired her to receive her own "messages" from "Jesus" and how it was a "treasure" to her. Her previous praise of God Calling had become problematic as it had drawn obvious New Age comparisons to her own book. It had also become apparent that her original endorsement of God Calling was helping to popularize this New Age book among believers! 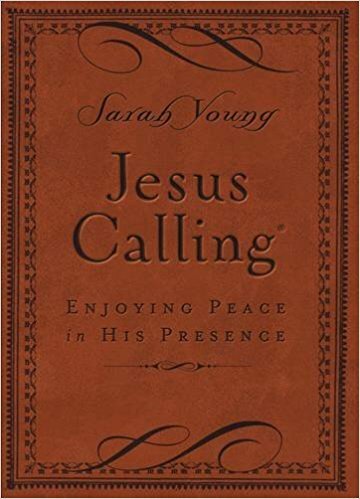 While Christian leaders have been strangely silent about Jesus Calling, it was the secular media that took Sarah Young and Thomas Nelson to task for changing and deleting the problematic material in their best-selling book. The latest edition of Jesus Calling includes some important changes. 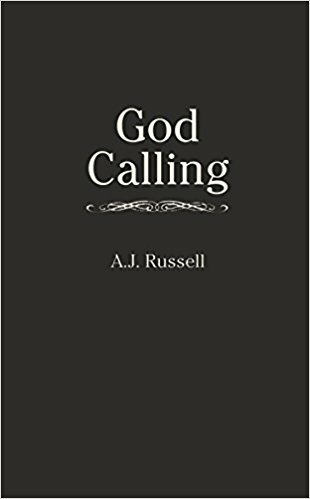 The paragraph about God Calling has been deleted, and references to received "messages" have been changed to the less mystically inflected "writings and devotions." 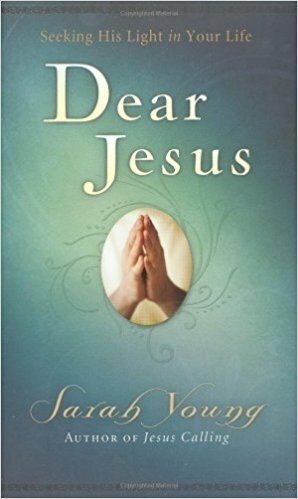 In a passage in which Young recounts her early attempts to write down what God told her, the new version characterizes this as "focusing on Jesus and His Word, while asking Him to guide my thoughts." 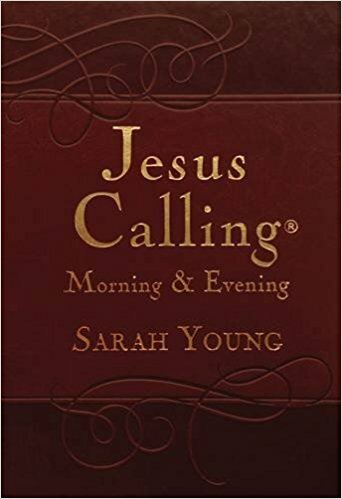 Thomas Nelson refers to the books as "Sarah's prayer journal," emphasizing that Young is not claiming to speak for Jesus. A skeptical reader, comparing the two introductions, would see an effort by a publisher to bring an increasingly controversial but lucrative best-seller into line with mainstream evangelical orthodoxy. 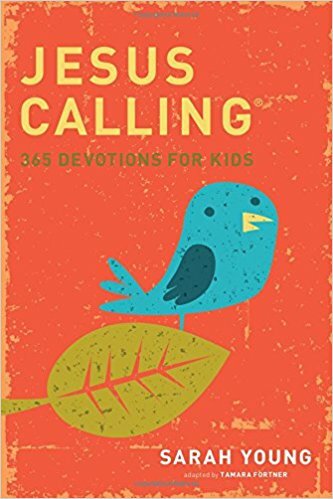 In an email responding to my questions, the book's publicist at Thomas Nelson, Katie Powell, wrote that the reference to God Calling was never meant as more than "a nod," and it was deleted because it had "created some confusion." "The book's theology has always been sound," she wrote. 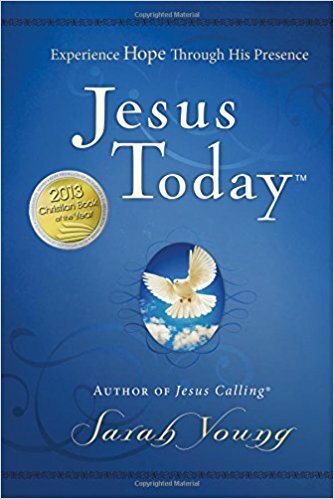 "The changes were made to make the introduction easier to understand especially since Jesus Calling is now being read by such a wide variety of people" Thomas Nelson did not call attention to the changes, Powell wrote, because the introduction's "content did not change" between editions. 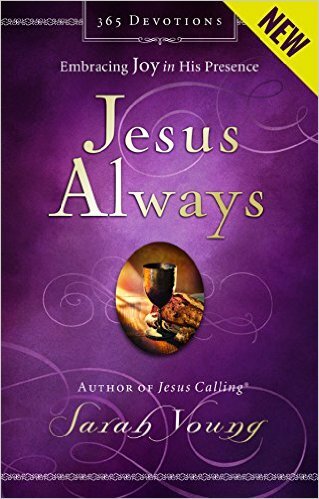 But it's hard to square that with the similarities between Young's book and Jesus Calling--right down to the title. Since this unbiblical contradiction was brought to light in my book "Another Jesus" Calling, Sarah Young and Thomas Nelson have eliminated this obvious contradiction in their 10th anniversary edition. In other words, they had their "Jesus" correct himself. 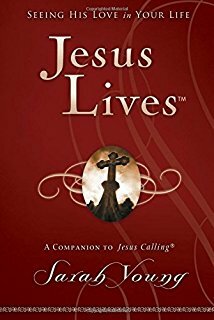 Compare the original January 28th and October 15th statements that have been in Jesus Calling for the last ten years, with the replacement statements now inserted in the new 10th anniversary edition. Since my writings are rooted in the infallible, unchanging Word of God, having them appear alongside the biblical text would seem to be a natural place for them. Sarah Young might argue that because Jesus never contradicts Himself, she must have heard it wrong. But if that were the case, she had to hear it wrong on two separate occasions because the unbiblical statement is in two different messages. With this in mind, an important question must be asked. Who was Sarah Young listening to when she "received" these two "messages?" Obviously the real Jesus does not contradict himself--much less correct Himself in regards to His own words and actions. Before I close this report there is one more thing on my heart that I feel I must share. John 10:10 tells us that the enemy comes to steal, kill and destroy. How many people who previously would have gone to their Bibles when they needed comfort now go to Jesus Calling? How many who started their days reading the Bible (2Timothy 3:16, the God-breathed Word) now go to these questionable words channeled through a woman? As a result, their relationships with the true Jesus have been stolen and destroyed. He is our Shelter, our Refuge, our very present help in time of need, our Comfort, our Life, our Daily Bread, our Soon and Coming King, our Savior. This is the Jesus of the Bible. Can this "Jesus" of Jesus Calling offer all that… or is he a thief who has stolen away our relationships with the true Son of God? 1Thessalonians 5:21 commands us to prove all things. This entire series of lessons is an example of obedience to that command by a variety of those in His body who care for the safety of His people. If you or someone you know have read these books, would you go back to the very beginnings of these lessons and see this action as a "kindness" that has been done to the body of Christ and share it with them to keep them safe? it is a kindness [done to encourage my spiritual maturity]. [to accept and acknowledge and learn from] it;"
Bulle, Florence God Wants You Rich and Other Enticing Doctrines, Minneapolis, Minnesota, Bethany House Publishers, 1983. A.J. Russell ed. God Calling, by Two Listeners, Old Tappan, N.J., Fleming H. Revel., 1936. The author of this 4-part series, Barbara Wilhelm, is a long-time discerner. She recently started her own blog, Holding His Word Higher: https://holdinghiswordhigher.com. Visit her site for her weekly posts. As always, the Word of God is to be the foundation of our discussion. In addition, it is often necessary to dig deeper into the essence of a Word in a verse to truly understand what the Lord is trying to convey. Before we can get a fuller grasp of the errors in Jesus Calling we need to first look at the command of "proving" and what it entails. 3 Dear friends, although I was very eager to write to you about the salvation we share, I felt compelled to write and urge you to contend for the faith that was once for all entrusted to God's holy people. 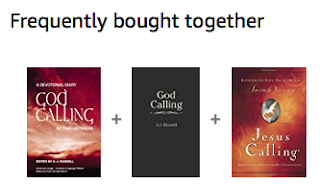 As we continue with our study of both God Calling and Jesus Calling it will become apparent that both these books have extrabiblical meanings; they offer teachings not at all contained in the Word of God. After our family diligently prayed and discovered that we had a lot of physical housecleaning to do, we also went through a period of spiritual housecleaning. Psalm 51 was our guide. I remember an old song based on that song: "Cleanse our hearts oh God; make us ever true; cleanse our hearts oh God, let us be like You." About two years later when we taught a youth group, the Lord helped us realize that the word "lye" has an alternate spelling - "lie." From that point on we became even more diligent over allowing anyone we loved to come in contact with a lie in case they were horribly burned or scarred. In 2014 a series of events began that prompted my doing a great deal of reading. In the space of less than three weeks three different women of my age group at church discussed the book Jesus Calling in my presence. I had ignored the popularity of the book purposely because over 20 years ago I had been repeatedly presented with its predecessor and inspiration God Calling and had not wanted to read that either. 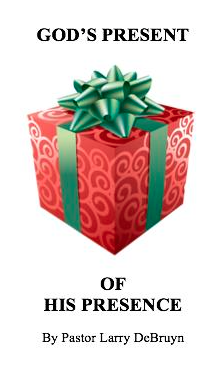 Eventually, however, someone gave me God Calling as a gift and I realized the Lord wanted me to review it. I sat down and read it through in its entirety in 3-4 days. It was a book written by two anonymous "listeners" who were in fact being used as "channels" or "mediums" - an occult practice. The book was written in the first person so that the reader was to believe that God Himself was speaking. It did not stand up to any Biblical tests and especially failed the most important test: it did not use Scripture alone as an authority. 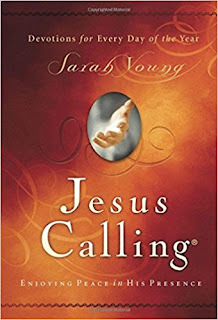 And now twenty years later a woman named Sarah Young is using God Calling as an inspiration for Jesus Calling and it has become a 15 million copies best seller. Again, I had no desire to read Jesus Calling. I came home and told my daughter about the latest encounter at church with the women of my age. She told me that quite a few women of her age had asked her to read it also; and then my granddaughter overheard us and relayed the same message. They asked me to read the book. 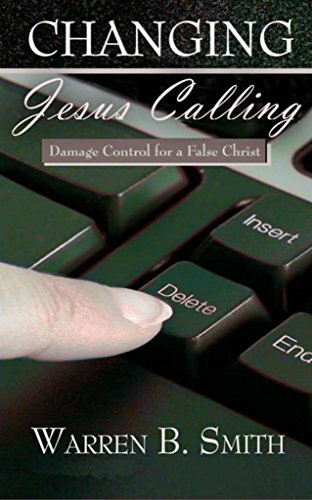 A week after this discussion Warren Smith, a respected discernment minister, published a book titled Another Jesus Calling that shares his concerns about this devotional. Later I learned that Pastor Bob DeWaay had also written a lengthy article titled "Toxic Devotion: A Review of Sarah Young's-Jesus Calling." I found it interesting that he would call the book "toxic" recalling that "lye" is also considered toxic. Substantial excerpts from both of these men in their excellent reports will be included later in my analysis. 18 I warn everyone who hears the words of the prophecy of this scroll: If anyone adds anything to them, God will add to that person the plagues described in this scroll. Has not Jesus already said everything that He came to say? Has He not said in 2Timothy that what He has already given us is all we need and that only those words in the Bible are "God-breathed" and inspired by Him? If He Himself has said in His Word that no more is to be added to what He has said, then isn't the Jesus of Jesus Calling contradicting Himself? Isn't this "another Jesus" (2Corinthians 11:4) speaking? Is not Sarah Young challenging the sufficiency of Scripture? 8 But you will receive power when the Holy Spirit comes on you; and you will be my witnesses in Jerusalem, and in all Judea and Samaria, and to the ends of the earth. 9 After he said this, he was taken up before their very eyes, and a cloud hid him from their sight. 10 They were looking intently up into the sky as he was going, when suddenly two men dressed in white stood beside them. 11 "Men of Galilee," they said, "why do you stand here looking into the sky? This same Jesus, who has been taken from you into heaven, will come back in the same way you have seen him go into heaven." Notice that Jesus went up in bodily form and will come back in the same way and not as a spirit presence as Sarah Young presents Him. 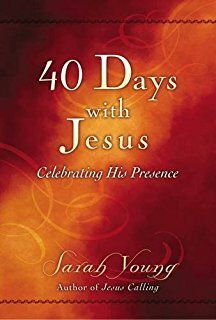 On p. 233 Ms. Young incorrectly misquotes Scriptures by adding the words "My Presence": "My Word is a lamp to your feet; My Presence is a Light for your path." [Emphasis mine] Additional references may be found on pp. 3, 13, 135, 352, 314 of Jesus Calling. Yet that is not Biblically correct as we see when we compare it to Psalm 119:105: "Thy word is a lamp unto my feet, and a light unto my path." See additional Bible verses: Psalm 119: 103-104; 138:2; Luke 11:35; 2Timothy 3: 16-17. Yet the word "Presence" seems to appear more than the Word "Jesus" in Sarah Young's writings. Interestingly, Jesus did promise that while his "Presence" would not be with His followers after He left them the Holy Spirit would be forever with them. Pastor Larry DeBruyn makes this clear distinction below in his beautifully titled article "The Present of 'His Presence'." Below are selected excerpts. I would encourage you to read the article in its entirety. "In the last day, that great day of the feast [The Feast of Tabernacles], Jesus stood and cried, saying, 'If any man thirst, let him come unto Me, and drink. He that believeth on Me, as the scripture hath said, out of his belly shall flow rivers of living water.' (But this spake He of the Spirit, which they that believe on Him should receive: for the Holy Ghost was not yet given; because that Jesus was not yet glorified.)" (John 7:37-39). That coming of His Presence Jesus did not compare to a well, a creek or a stream, but to "rivers of living water" (plural), the supply of which might be compared to the Mississippi River and all its tributaries. But unlike the Mississippi, His divine presence would not be polluted, but pure - it would be living water. We do not get at this union via the legalism of our own works or by engaging in rituals called "spiritual disciplines." This union with Christ comes to all believers for reason of Holy Spirit baptism whereby they are "union-Ed" with Christ and with one another (1Corinthians 12:13). In the aftermath of the Spirit's baptism, communion with the indwelling Spirit of Christ can be facilitated via our Bible reading (the Scriptures and the Holy Spirit do testify concerning Christ, John 5:39; 15:26), meditation on Scripture, prayer, witnessing, singing "psalms, hymns and spiritual songs" in our hearts and to each other, being thankful, submitting to one another, corporate worship, observing the Lord's Table, and so forth (Acts 13: 48-52; Ephesians 5: 18-21)…. These thoughts of Pastor DeBruyn warrant our fullest attention not just because we respect his stature as a discernment writer but, more importantly, because they will keep us from spiritual peril. What about the contents of God Calling? Since not only Sarah Young but many others have stated that they have been ministered to from reading it, how can these positive experiences be explained if there are Scriptural errors in it? Certainly many statements can be inspiring in a book, and Scripture can even be quoted, but note that Genesis 3:1, Matthew 4:6 and 2Corinthians 11:2-4,14 are but a few Bible verses mentioning Satan's ability to quote Scripture for his purposes. The implications of this statement are that personal guidance is better than the Bible. Note that God Calling has more words of Jesus than the Bible itself. Repeatedly in Scripture God tells us of the excellence and pre-eminence of His Word: all of Psalm 119; Matthew 5:18, 24:35; 2Timothy 3:16-17; 2Peter 1:21; Deuteronomy 6:6, 11:18; Psalm 19:8; John 17:17, 20:31. I am certain that there are a great multitude of people who are indeed content with guidance from Bibles and have found guidance, moral absolutes and strong religious principles in the pages of that holy Book. This comment on Gnosticism holds true for both God Calling and Jesus Calling. There are, however, many references in God Calling to "Spirit-World" and "Spirit-Kingdom," both which have nothing to do with the Holy Spirit. The October 23 entry reads: "Trust in the Spirit Forces of the Unseen not in those you see." [Emphasis mine] Since the Bible (Deuteronomy 18:10) vehemently denounces associating with spirits, but soundly commands us to trust only in God (Proverbs 3:5-7), this is totally unscriptural and, therefore, could not have originated with God. Both Deuteronomy 18:20-22 and 2Timothy 3:16 clearly state one of the fundamental principles of discernment - anything that is wrong in part and presumes to say it is from God is wrong in the whole and is to be condemned. March 13: "Spiritualism is wrong. No man should ever be a medium for any spirit, other than Mine." Let's use a paraphrase analogy to help the reader understand the full intent of this entry: "Murder is wrong. But when I, the Lord, say to do it for My purposes, it's okay." Can you see a God in whom there is no darkness at all speaking out of both sides of His mouth like that?! April 27: "I am beside you. Can you not feel My Presence? Contact with Me is not gained by the senses. Spirit-consciousness replaces sight." May 5: "Breathe in My very Spirit in pure air and fervent desire…. Empty your mind of all that limits." 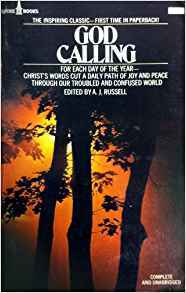 There are additional errors that can be listed to show the deceptions in God Calling, but the preceding should be sufficient to convince the diligent seeker of God's truth that this book is not a Christian devotional. One need not question the sincerity of the "two listeners," but the method of "guidance" they employ is not Scriptural. True communication with the One True God would not contain these errors. He has no flaws and always acts in agreement with His Word. Therefore, my brethren, "touch ye not the unclean thing" and separate yourself from the dangers of this book and those like it for your own safety and so that "God may receive you as His sons and daughters."